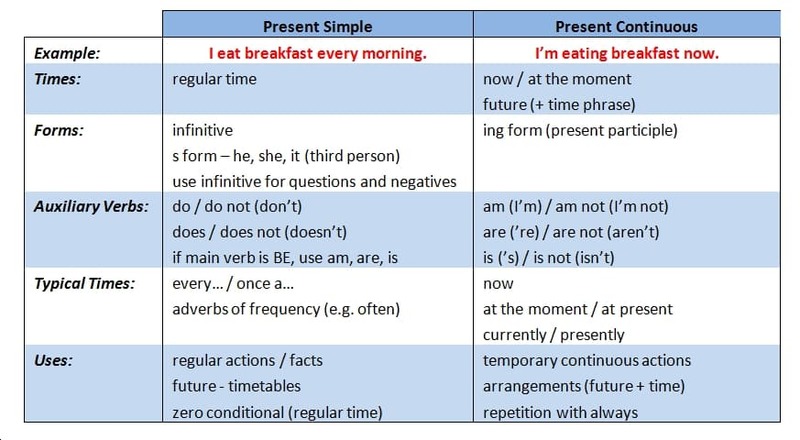 In short, we use present simple to talk about actions that happen regularly – in general or regular time, e.g. He eats breakfast at 7 o’clock every morning. 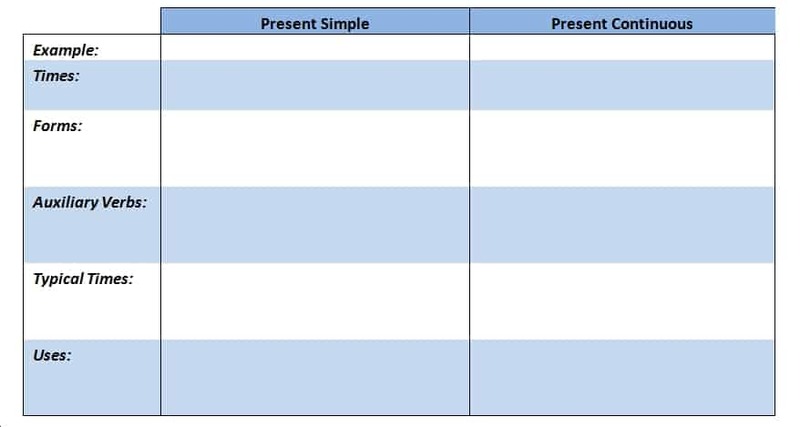 2.3.3 On these two handouts you can see how the most common verbs in English – BE, DO, HAVE, and GO – look in present simple and present continuous tenses: present-simple, present-continuous. Try to learn these important verb tables. I ____________ the train to work every day. Public transport in my city ____________ very expensive. What time does the service station ____________? Look – the aeroplane ____________. He usually ____________ his motorbike to college. My car’s engine ____________ a lot of noise. Hurry up! The taxi ____________. We ____________ down the motorway at 70 mile per hour. Oh dear. The bus ____________ late. passed I my test last driving week. did drive you When learn to? doesn’t know to He the airport way the. is to It go by quicker ferry. was blocked Why road the? never helicopter flown have I by. ticket pence The cost pounds seventy two. where I are know my keys car don’t. a is van the between difference lorry What a and? very The clear signs road aren’t. P.S. Lucy reads books every day. P.C. Lucy is reading a book at the moment. Which tense uses the time phrase every…? Which tense describes actions which are happening at the moment? In which tense do we use adverbs of frequency, like sometimes, always, and often? In which tense do we use BE as an auxiliary verb in positive, negative, and question forms? Which tense uses infinitive and s form? Which tense is often incorrectly used to describe actions which are happening now? Which tense uses ing form? Which tense doesn’t need a time phrase, unless it describes a future arrangement? Which tense uses the auxiliary verbs do and does (unless the main verb is BE)? Which tense talks about regular time and future timetables? Which tense uses the time phrases now, at the moment, currently, or presently? Which tense do we use to talk about facts?